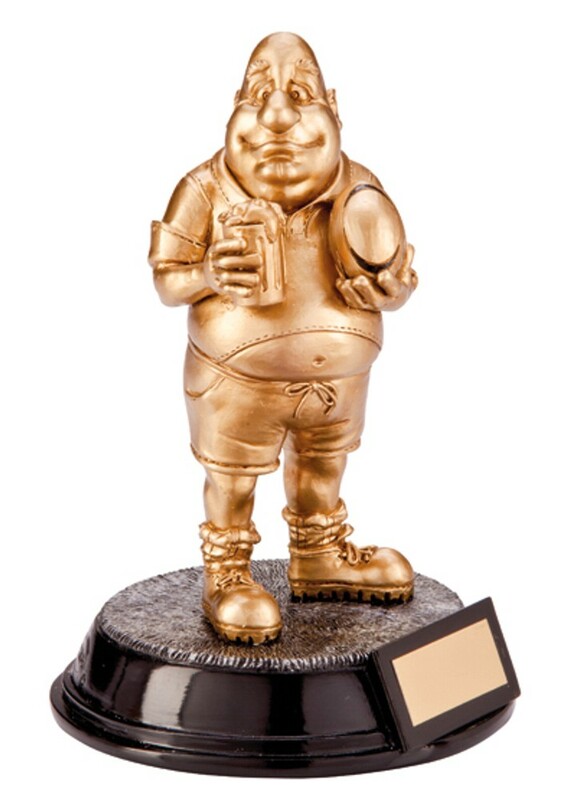 The Beer Belly Rugby Award. Brilliant looking trophy, very funny and perfectly crafted. Finished in Antique gold with a black base, available in one size 165mm high.